Outside Kaurvaki murmers to herself. She thinks she had to go in and finds him till he hasnot returned. Ashok does not realize that tantric stands behind him. He tries to throw sand in his eyes to make him temporarily blind. Kaurvaki notices him behind Ashoka and alerts him. Ashoka prevents himself from tantric’s attack. The tantric apologizes and says he had not done anything; he did all that on Sushim and Charumatya’s pressure. Ashok says that he would be punished as he used his black magic and tantra vidya in Magadh. Tantric embeds his sword deep inside his chest and says that the construction of united india had started. Sushim sees Ashoka carrying unconsious Kaurvaki in his arms. Ashok takes her to the bed. Kaurvaki holds his hand, even in sleep and says that she only belonged to him. Ashok thinks that he would always be with her. Then Ashoka leaves. Sushim comes into Kaurvaki’s room and finds her sleep. He goes to Ashoka’s room and finds him asleep and leaves. Ashok wakes up and thinks Sushim’s game was over then. Acharya has a nightmare of blood. He comes out of the room. Next morning everyone finds Sushim’s tantric’s body hangs from the rope. All feels shocked to see him. Ashoka thinks that Susheem had killed his tantric. Sushim blames Gondna. 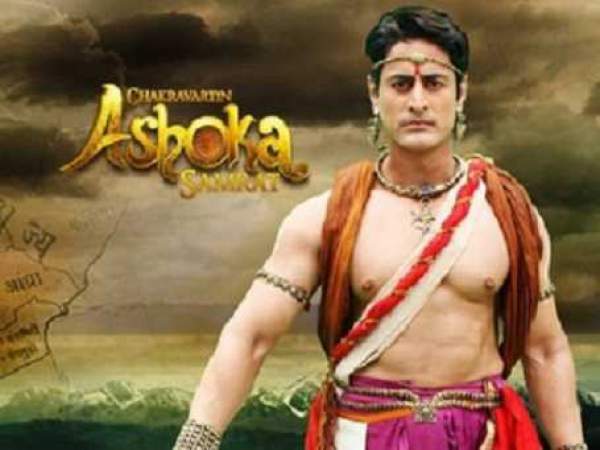 Ashoka believes that if anyone found that he had killed him not Gondna, then all his plan would ruin. He is tense. Kaurvaki comes. Ashok asks what she was doing there. She is set to thinking.